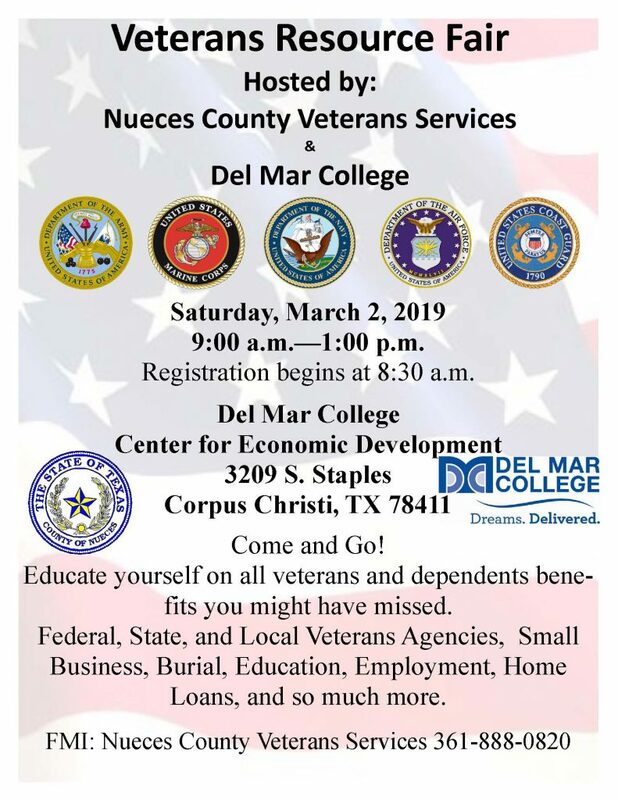 Corpus Christi area veterans, Del Mar College is hosting a Veterans Resource Fair, Saturday, March 2 from 9 -1. 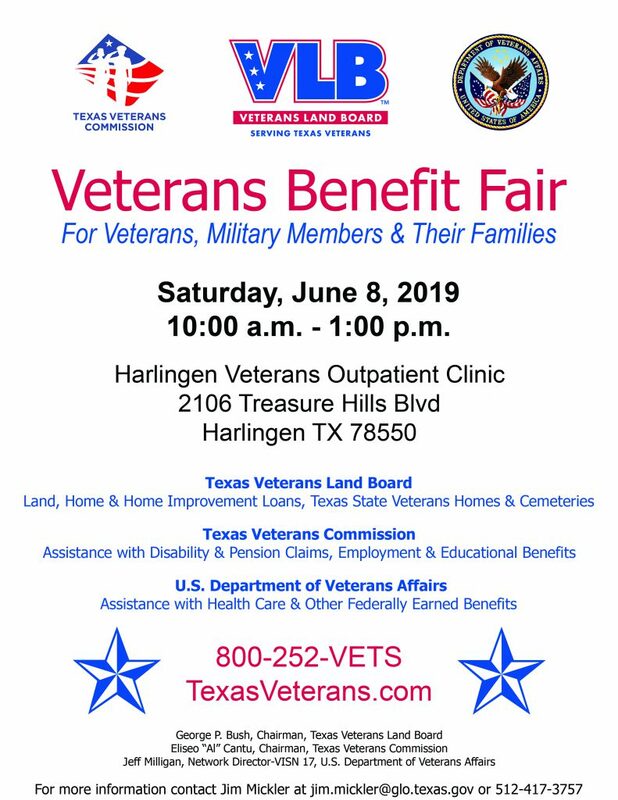 Veterans, family members and transitioning service members are urged to stop by. Registration begins at 8:30. It’s FREE! 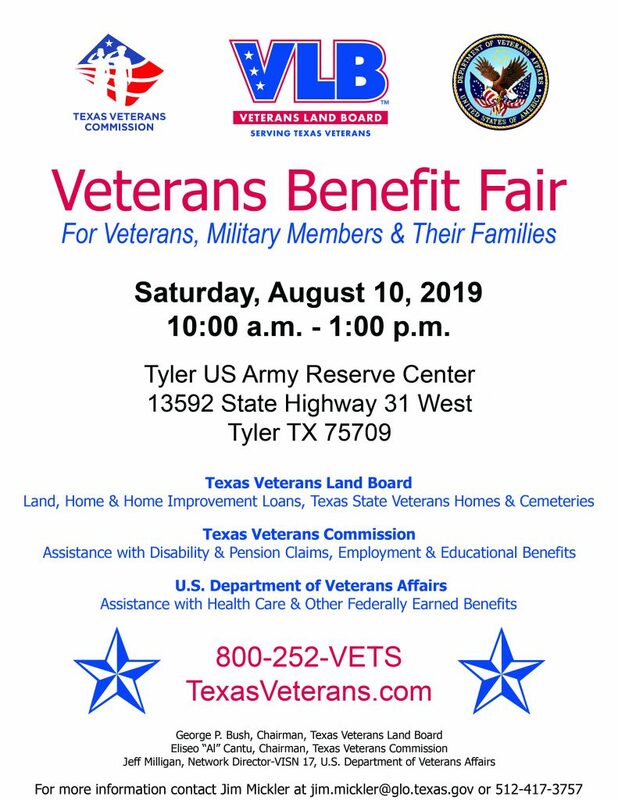 Federal, state, and local veteran agencies will be there with info on your benefits and services. Stop by the Center for Economic Development at Del Mar College, 3209 S.Staples in Corpus Christi. 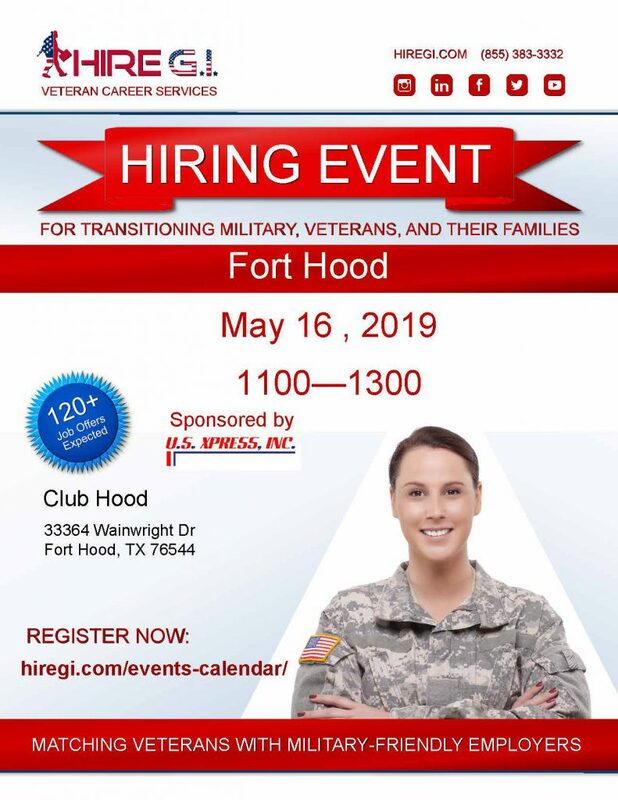 For more info call Nueces County Veteran Services: 361 888 0820.